The journey first begins upon entering the 1920's perfumery with long tables of elegant glass bottles, the wafts of exotic scents entice you as you continue on through the connected rooms, first perfume, then chocolate, teas and honey. Your senses now alive, you enter the courtyard and follow the stone steps leading to an oversized veranda that houses lush ferns, a cool fresh-water dip pool and a lounge area encircled by the tropical jungle canopy of palm trees and frangipanis. Past a breakfast nook, you step through over-sized double doors into a large white-washed room of tiled floors and stone walls, the impressive ceilings lined with exposed wooden beams and a crystal chandelier. Stately, dark furniture fills the space just enough, highlighting the tall king-size bed and clawfoot bathtub surrounded by large mirrors. 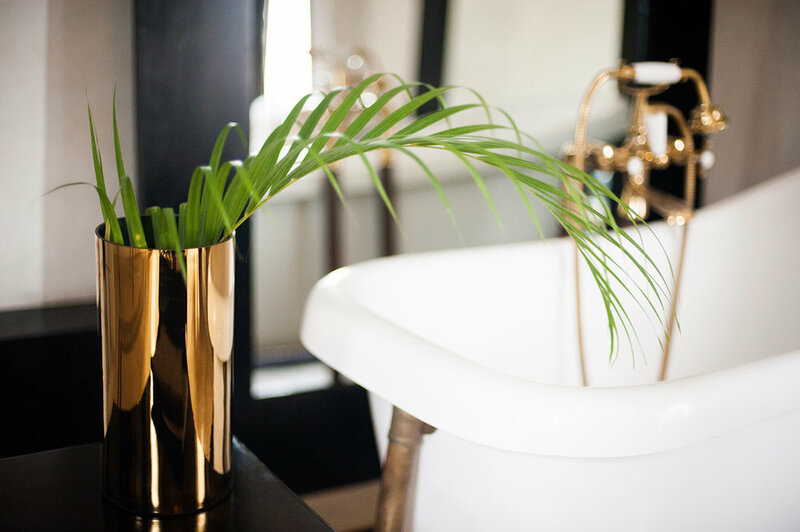 The decor is minimal, yet refined with just the right amount of opulence. The feel is undeniably Coqui Coqui, that which exudes style with attention to the most important details, yet showcases its unique personality of the colonial Mexican city in which it resides. 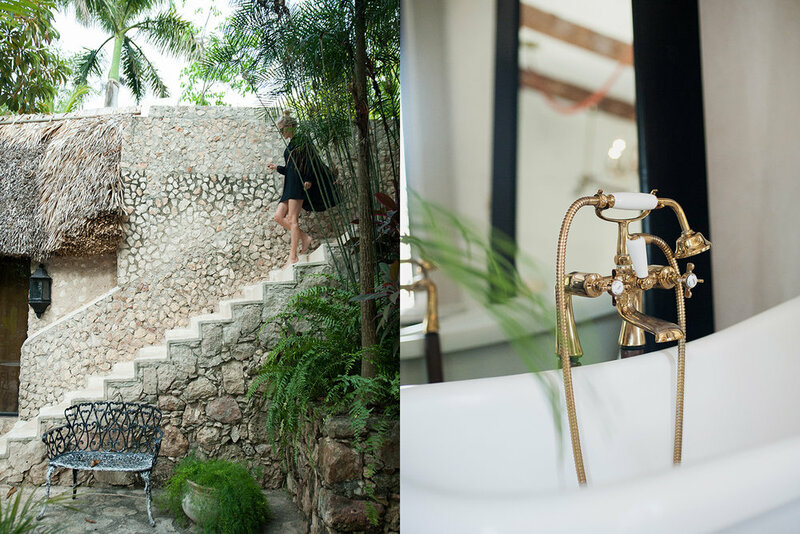 As with all Coqui Coqui hotels, you are given a bag of goodies upon arrival, which includes bath oils to make your bathing extra luxurious. The room also has a separate bathroom that, like the room, has an almost old school French feel. If sunshine is what you crave, lounge on the second private patio and enjoy a sunchair large enough for two! The hotel’s utterly charming Cafe de los Frailes serves wonderful pastries and coffees, and for more significant meals the Coqui Coqui chef will prepare these for you in the courtyard or cafe. This is definitely THE place to take advantage of a spa. Surrounded by lush jungle, the large spacious veranda has chaises and a private freshwater pool, all yours to enjoy in your post-massage bliss. Revel in the signature handmade oils, creams, candles and fragrances, all of which will pamper you during your extraordinary experience using many of the fresh ingredients grown right there in the hotels lush gardens. A few blocks away from the charming and full of life main Cathedral and walking distance form the silent and secluded Convent of San Bernardino de Siena. Ideal for couples that appreciate something a bit more unique and exclusive. With the stairs both inside and out, it isn't easily navigable for those with mobility issues.